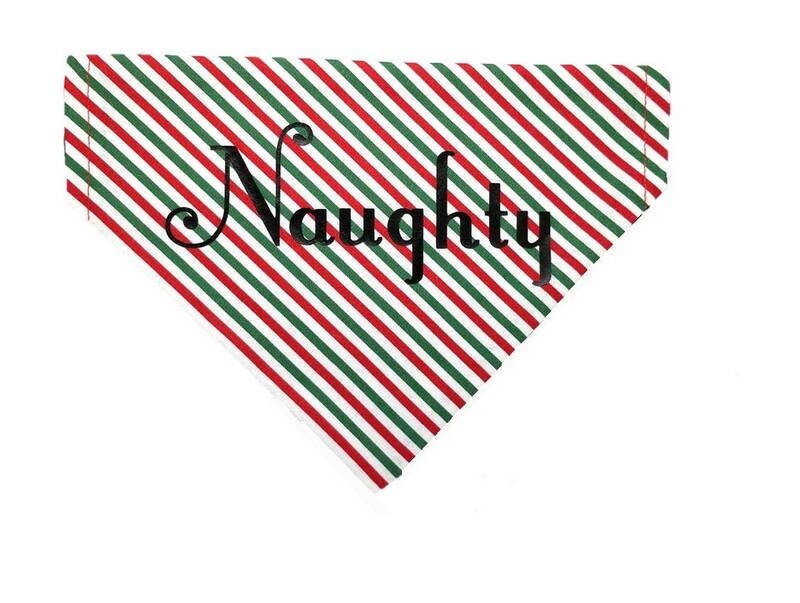 ♥ As the old saying goes, Santa checks his list to finds out who is Naughty or Nice. 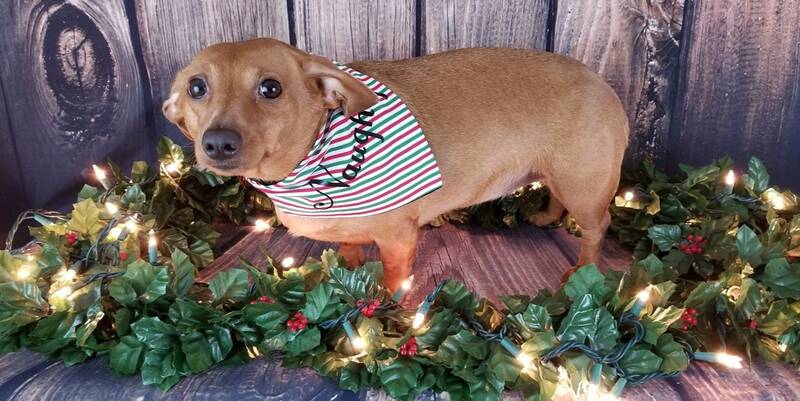 Which one is your pup this year? 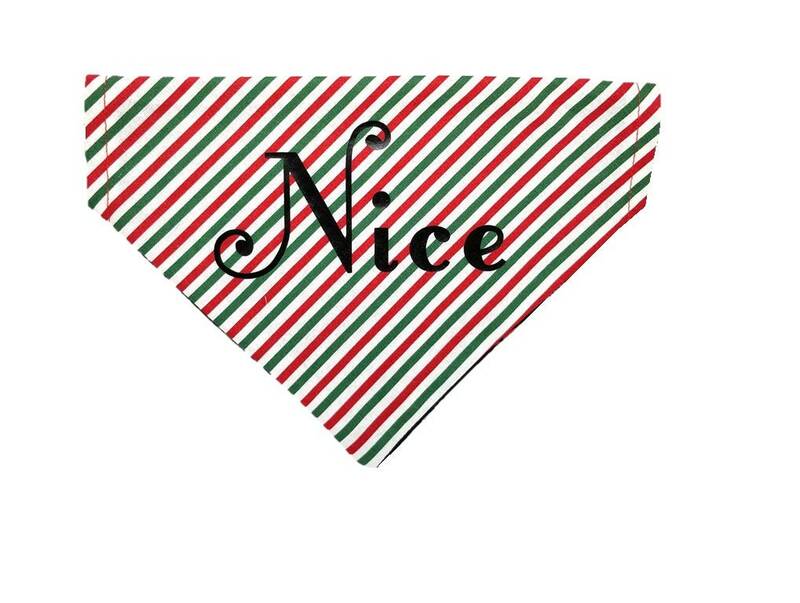 Broadcast it to the world with our Naughty or Nice reversible bandana! 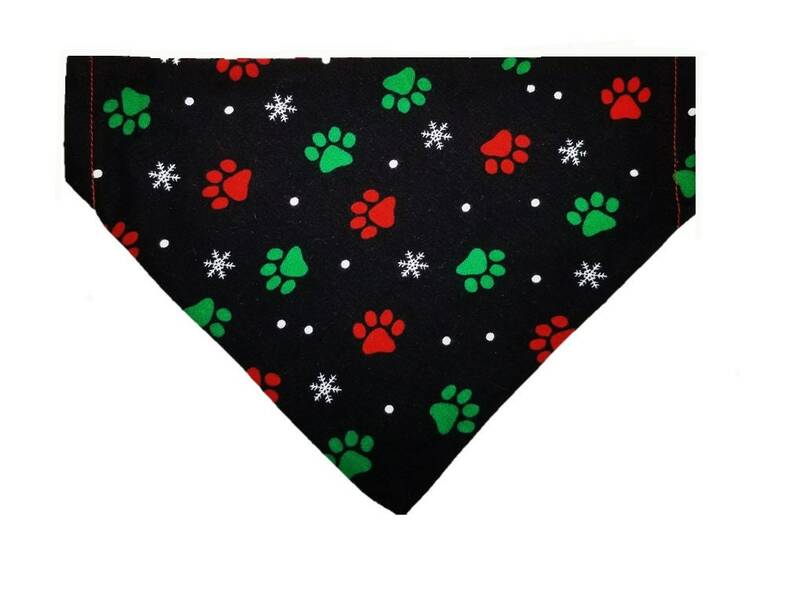 One side features a fun snowflake and paws print while the other features either a green or red and white striped pattern!